On December 16, the Food and Drug Administration recommended that Avastin (bevacizumab) no longer be used as a treatment for metastatic breast cancer. Like many people, we are disappointed that Avastin never delivered on its promise as an effective treatment for advanced metastatic breast cancer, but Breast Cancer Action agrees with the FDA’s decision to follow the science. In 2007, BCA was the only breast cancer organization to actively oppose Avastin’s use for treating patients with metastatic breast cancer. The drug’s manufacturer, Genentech/Roche, failed to demonstrate an improvement in overall survival. According to Janet Woodcock, director of the FDA’s Center for Drug Evaluation and Research, the phase IV studies showed that patients receiving Avastin did not live longer and, more importantly, experienced a “significant increase” in serious side effects like stroke, heart problems, and gastrointestinal perforation. Avastin’s price tag (between $80 – 100,000 annually) was also a huge concern to BCA and other patient advocates. 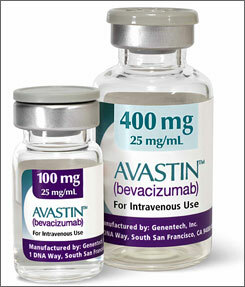 Last year, Avastin made $1 billion from its breast cancer indication alone, around a fifth of the drug’s total revenue. In the case of Avastin, the science demonstrates the drug has no overall survival benefits as a treatment for metastatic breast cancer. BCA applauds the FDA for following the science on Avastin and putting the interests of patients before drug profits.